Trendy Pooches Training Academy is the first of its kind specialising in Tellington T Touch, a unique therapy which is used on animals to help release tension, reduce stress and improve physical, mental and emotional balance. Tellington T Touch (T Touch) is an invaluable tool to use during the grooming process helping to make grooming more enjoyable, safer and more importantly prevents dog bites. We are extremely proud to offer the following grooming courses that incorporate T Touch enabling our learners to begin their new career with a gentle and positive approach to dog grooming. Introduction to Dog Grooming (5 Days). This gives an insight of how a grooming salon works and if you’d like a career in dog grooming. This qualification was launched in 2017 as alternative route, but the same level the City & Guilds Level 3. We do offer both the level 2 and 3 City and Guilds but find this the popular option as there are no formal exams, the assignments are answered at your own pace. Here at our Trendy Pooches Training Academy’s, we know many experienced groomers would like to be able to say they are also qualified and have had their skill validated. However, exams can be daunting, and the cost can escalate if you need practice to prepare for them. That is why we have made our qualification assessed through coursework and ongoing demonstration to your tutor as you are guided through the skills needed to achieve your goal. Our modern grooming salons and experienced tutors make your learning fun and friendly whilst focusing on the essentials of great grooming. 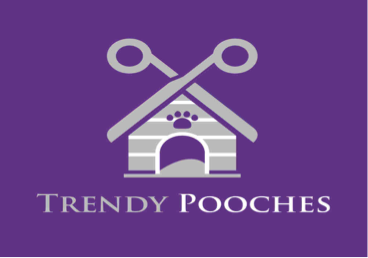 At Trendy Pooches we pride ourselves on providing a great opportunity for experiencedgroomers to achieve level 3 qualification status without the need for first completing a level 2 qualification. One Day Pet Grooming Course. Learn how to groom your own dog in one day. Canine First Aid (OCN Accredited) Learn CPR on our state of the art “Casper” model, recovery position, bandaging and how to handle first aid emergencies. Our team of dedicated Tutors have a wealth of knowledge to share with you covering many aspects of the dog grooming industry. We will also advice on how to open and run a successful dog groomers. We are the largest chain of dog groomers in the North West with many of our previous students actually joining our Trendy Pooches family or starting up very successful salons of their own. Nothing makes us prouder than your success and knowing we have given you all the tools and knowledge needed for your new career, your new life, in the dog grooming world.